Food and Drug Commissioner Dr. Scott Gottlieb announced his resignation from the FDA on Tuesday. He said he would step down from the agency in about a month. Gottlieb was nominated by confirmed by a 57-42 Senate vote less than two years ago, in May of 2017. Despite the concerns of some that his close ties with the pharmaceutical industry offered the potential for “unprecedented financial entanglements with the industries he would regulate as FDA commissioner,” others were hopeful that his energy and enthusiasm would help “accelerate the discovery, development and delivery of new cures and treatments” to address some of the most pressing problems in the U.S. healthcare industry. 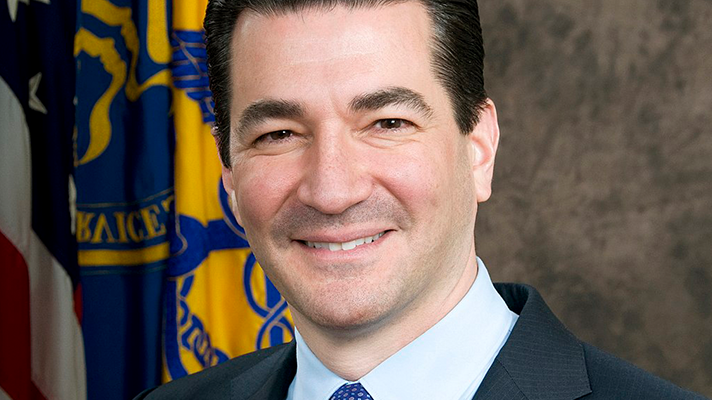 In his resignation letter, Gottlieb cited his work on e-cigarettes and youth vaping, the opioid crisis, access to generic drugs, efforts to “reduce the burden of chronic disease through better information and diets” and other population health imperatives. He also pointed to recent approvals for new gene therapies and other precision medicine tools. Gottlieb was especially bullish on the potential for artificial intelligence and machine learning in healthcare, and under his leadership the FDA made several new approvals of AI diagnostic devices and algorithms. This past month, FDA published its first-ever guidance on how to achieve a more streamlined and timely approval of AI and digital health tools, the Digital Health Innovation Action Plan. Shortly after the news broke of Gottlieb’s departure, Healthcare IT News interviewed Dr. Eric Topol, executive vice president of Scripps Research, about his forthcoming book, Deep Medicine: How Artificial Intelligence Can Make Healthcare Human Again. Topol said he was disappointed to hear of Gottlieb’s resignation. “I know Scott, and I think very highly of him. I think he’s been one of the very best commissioners in my 40 years since finishing med school,” said Topol. “He’s very progressive, he’s been supportive of innovation, he’s been a great communicator. In many ways he’s really been the exemplary commissioner.